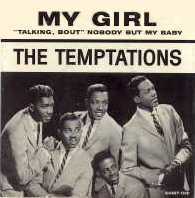 Now you’re all humming “My Girl” by The Temptations, aren’t you? That’s just fine… because it’s close enough to what I’m referring to. Today is a beautiful day here but it’s surrounded by lots of rainy days with ground well saturated with melted snow (some places still have several inches, if not feet, of snow that hasn’t yet). So you’ll understand why the idea of finding sunshine on a cloudy day is on my mind. Of course, in the song it’s all about the girl and hey, if that’s your answer – do your thing. 🙂 Read no further. You’re all set. But even for those in love, there are moments when you just need a little help finding the joy in life when it isn’t coming from outside of yourself. I’m sure a lot of us have noticed how happy people get when the weather changes from overcast and cold to sunny and warm. Happy, friendly, and usually more optimistic. At least, this has been my experience almost everywhere I’ve been. The weather plays a large role in our mood and our outlook on the future. Recognizing this is one element of being able to turn the dial up on your own inner happiness, on your own, when the outside isn’t quite as uplifting. And, of course, this concept of sunshine and clouds is also a metaphor for broader situations we can get ourselves into. Just the very idea of going to your job away from home, taking care of the kids, etc. can get a person down and out. Some days things are going great, other days something just isn’t connecting or you aren’t feeling appreciated. I’ve had plenty of all of it. But it’s all the same – it all hinges on being able to recognize the impact that your external surroundings have on your own mood and outlook on life. If someone gives you a hard time, you have a choice to make. You can internalize that moment and feel bad about it and upset and angry about it. You can feel resentful toward that person for your changed mood and lost happiness. You can bemoan the unfairness of it all that you should be one chosen to be the target of this person’s ire (or whatever). And et cetera. But where does any of that get you? Where has any of that every gotten any of us? Emotions are tied into a complex biochemical and psychological web of influences that are not easy to tease out. Emotions are a part of how you respond to the world. It isn’t really helpful to criticize yourself for your emotions. But it is useful to examine them and to examine your actions in response to them. How do you act based on your emotions? Here’s an example. My friend Sanjay has just had a going over by his boss for forgetting to turn in a weekly report needed for his boss to be able to write his own report. Sanjay is getting the third degree and afterward he feels pretty bad. He goes to his friend and complains about the whole thing, complaining that his boss is a jerk and he doesn’t deserve to be spoken to in that manner. He complains that he doesn’t make enough money to put up with the nonsense (he probably uses more colorful language). Et cetera. But you see what I mean about identifying emotions really as the subsequent _actions_. Our fictional dude is probably _feeling_ angry and devalued, and who knows what else based on his own past history – he could be feeling depressed, sad, lonely, unloved, resigned, anxious, fearful, terrified, hopeless et cetera. My point being – if he could instead focus on the emotions, rather than the actions, then he could see that his response (being upset with the boss’ actions) isn’t really useful _for him_. It only exacerbates what is upsetting him so much. And so instead of allowing this moment with his boss to turn his day upside down – he could instead chose to use it as an opportunity for self-improvement, for change. He could instead brush it off and find ways of seizing the rest of the day in productive ways – ways that would be positive. He could instead relate in positive ways with those people he knows _do_ appreciate the work he does, rather than in negative ways through a rehashing of the upsetting moment. He could instead find the sunshine in the potential cloudy day. Now, I don’t mean to sound like a Pollyanna and suggest that anytime something bad happens or someone does something wrong to you, you should just put on a happy face and brush it off and that’s that. Or even that this is always possible. But the act of trying, of knowing that it is _possible_ will allow you to find those happy moments more often than not. And happy moments usually feed off of each other. Remember how I reminded you that people tend to be happier when the sun is out? Same thing happens when people are around others who are happy. Granted there are some who react negatively to bubbly people, ok… but in general people react positively to happiness around them. Hence, happiness can be a self-perpetuating phenomenon. Your positive attitude can chase someone else’s clouds away. Post shout out to @_anawhite because I am in love with her DIY furniture plans. It seems that I have some sort of auto post setting on Posterous and now that the Thing-a-Day project is up and running, the 2nd post (by splashpaint) motivating everyone to join up before Feb. 1st posted both on Posterous and here on my blog (as if I posted it). Bizarre. Scared me for a bit though because I thought a spammer had access to my account! Having said all of this – I am more than happy to take this as an opening to talk about motivation and creativity. Namely, what motivates me and “reawakens my creativity”, as the original post said. I would like to say that there is a simple off the shelf answer that you can pick up at your local muse shop. But as with so many things in life, I’d have to say instead that it depends. For me, the struggle with motivation and harnessing the wild flashes of creativity, is just that – it is a struggle and the creativity does come in wild flashes. Part of my own path of mindfulness and acceptance of myself as I am, has been understanding and acknowledging that many of the ways that I process the world are deeply influenced by a traumatic past. And so, a large part of my creative process has had to include a feeling of safety. What does this look like? Well it isn’t always an obvious thing. Something as simple as routines are helpful to me. With my writing, it helps to write at the same time each day, even if nothing is forthcoming. I’ve found that leaving a roughly sketched idea to explore is helpful or even just a word dangling, ready to launch a new sentence the next day. When it comes to matters of health and wellness, motivation still requires a sense of safety, if you want to think of it like that, because I am most successful at being mindful of my exercise routines and eating habits, if I am equally mindful of habits of self-judgement. You know the habits I mean – little things we tell ourselves that are just as critical, if not more so, than if we heard them from someone else, about how we look, how healthy we are, chances of success et cetera. These little voices are, of course, not terribly helpful but they can be put to good use. For now – this was fun – thanks for listening. Amusing what can happen when technology goes awry, in other words this post is all thanks to a goofy autopost feature. Though it is interesting that I was then inspired to write about motivation and how a feeling of safety helps motivate me, considering it all began with a concern that someone else had posted to my blog (which was technically true but not intentionally). Wonders never cease. Post shout out to January. Check out her blog. On this site we hope to provide information useful for empowering us to continue to improve our health and the health of those around us. We begin with a simple idea – that we are already beautiful and that by being mindful we can remind ourselves… our bodies of this beauty and enhance our overall well-being. Mindfulness is a state of being aware of yourself and your surroundings. It is a way of being that empowers you to take charge of what you put into/on your body and you decide what is ok for you. You make decisions based on listening to the messages your body is already giving you in response to the external world. You already do this and we can all teach each other how to do this better. Mindfulness is an ongoing, evolving process that you can tailor to your own needs and style of life. Mindful beauty finds ways to incorporate knowledge about beauty, health, and natural living into a unified idea that benefits the whole body… your body. You are unique and you are also connected to a larger group of people and we seek to honor both the uniqueness and the connections, recognizing that no one single solution/recipe/plan will work for any one person but that any of these can be shared and reworked through discussion and collaboration. We are a mindfully beautiful community! I hope that you will find this site useful and that you will drop me a line if you have any thoughts at all about mindful beauty, health, wellness, this site, or anything at all. I will try to respond as best I can.